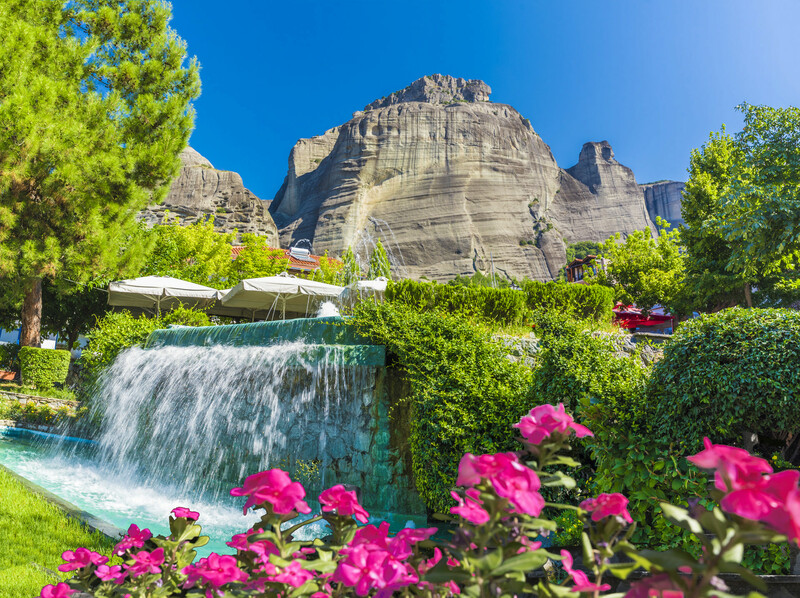 Meteora is considered one of the most beautiful areas of Greek mainland and its cluster of monasteries is one of the country’s most unique attractions..
After breakfast, pick up from hotel for your two day tour to Delphi and Meteora in order to explore some of the most famous sites in Greek mainland. 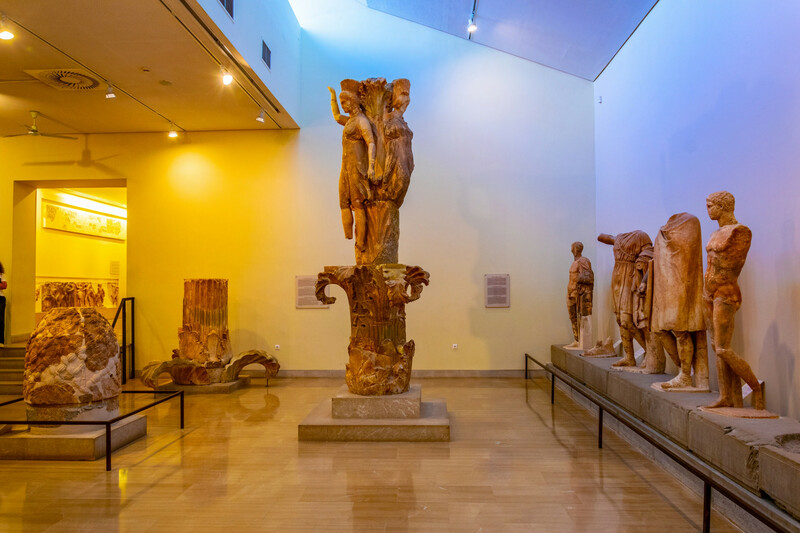 Passing through the spectacular sites of Boeotia, Thebes and Levadia, our first stop is Delphi, the center of earth and universe for Ancient Greeks. 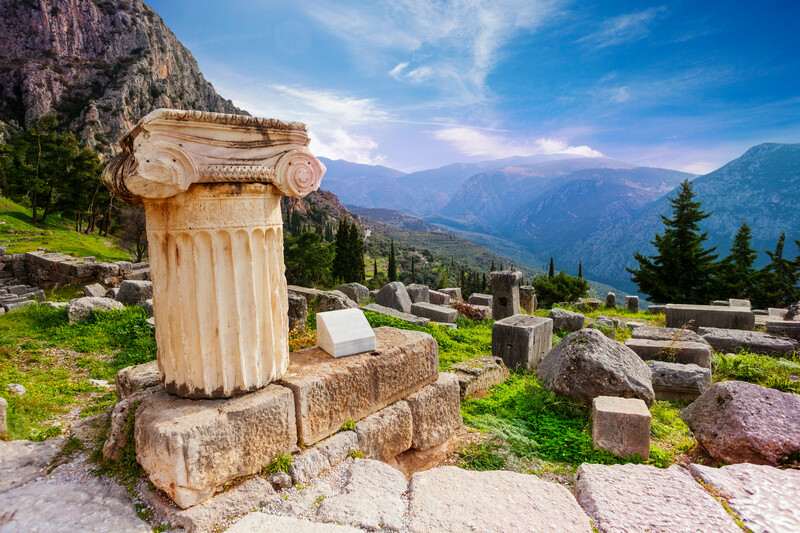 Famous for its theater, the Temple of Apollo and its ancient ruins, Delphi was considered the navel of the world and played a very important role in the classical ancient Greek world. 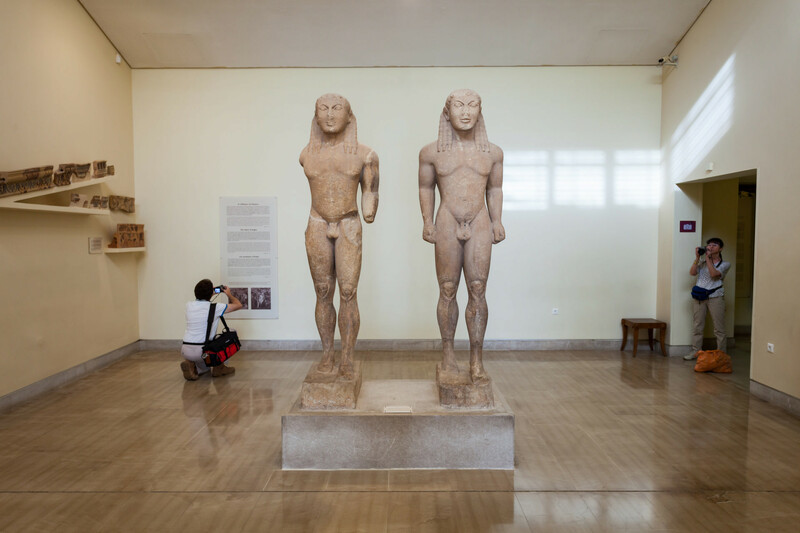 We visit the archaeological site and the Temple of Apollo, famous for its oracle. In the afternoon, we depart for Kalambaka, by crossing the Thessalian plain in Central Greece through the cities of Lamia (short stop) and Trikala. Kalambaka is a small town built at the foot of the majestic Meteora grey rocks, just below the Monasteries (short stop for souvenirs). Overnight stay in Kalambaka. 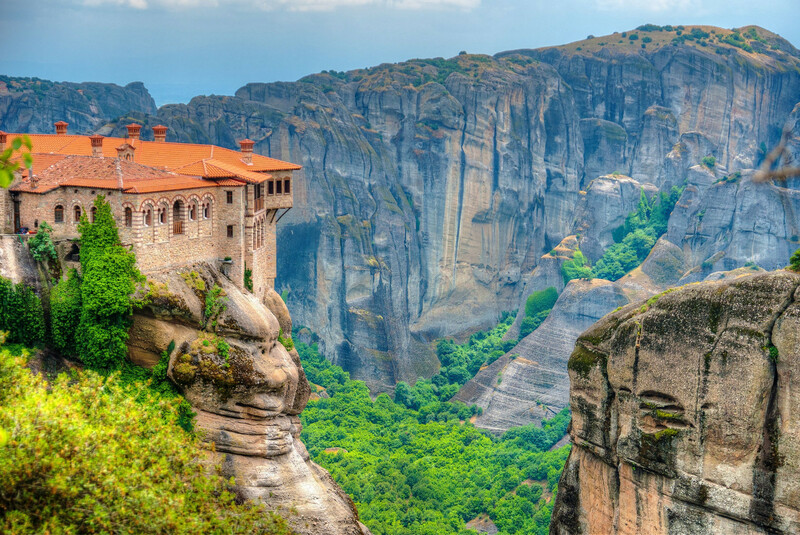 Today, we depart in the morning for nearby Meteora on a tour of the cliff-top monasteries by visiting two different Byzantine Monasteries, built on top of rock towers and offering fantastic views over the plain. 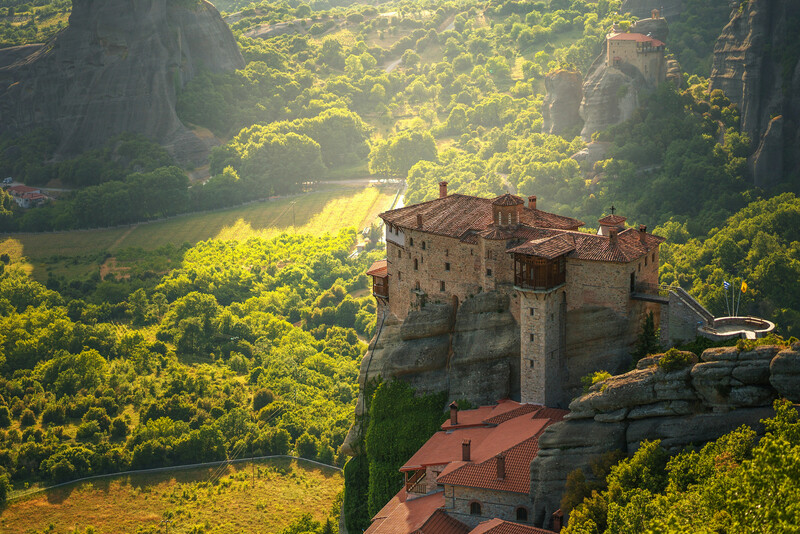 Meteora is included on the UNESCO world heritage monument list. The monasteries are perched on top of towers of sandstone, which provided the monks with totally inaccessible retreats for centuries. Meteora is considered one of the most beautiful areas of Greek mainland and its cluster of monasteries is one of the country’s most unique attractions. On our way back from the monasteries, there is an optional visit to a factory of Byzantine style icons. 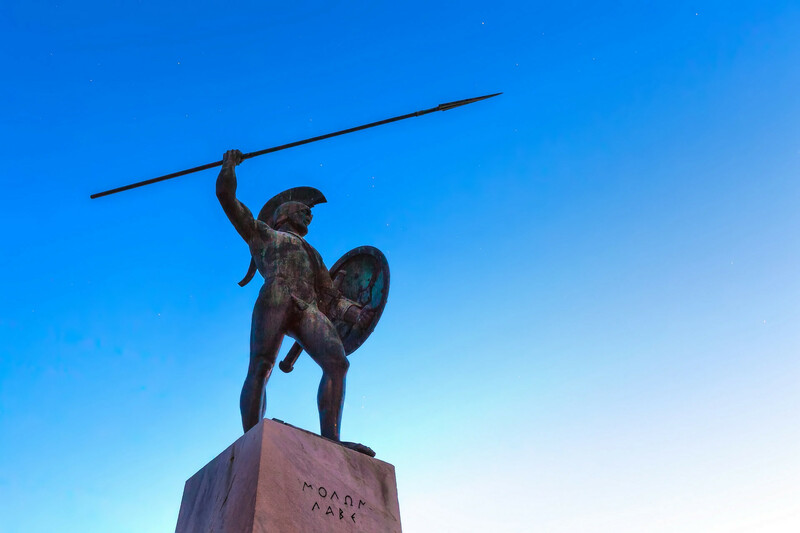 We return to Athens passing by the heroic monument of Leonidas, the King of Sparta in Thermopylae (short stop for photos). The tour returns to Athens late in the afternoon. 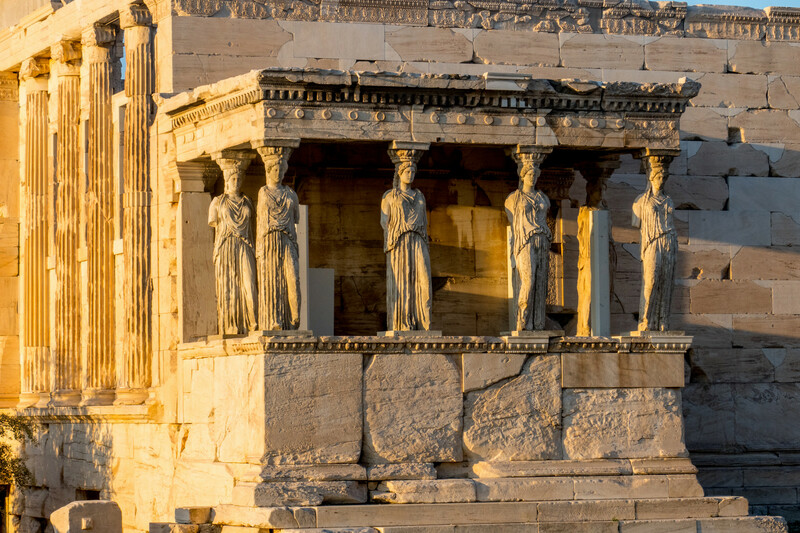 Day at leisure to explore Athens city on your own or join one of our capturing optional tours (Cape Sounion, 1 Day 3 Argosaronic Islands, 1 Day Delphi Tour or many others). 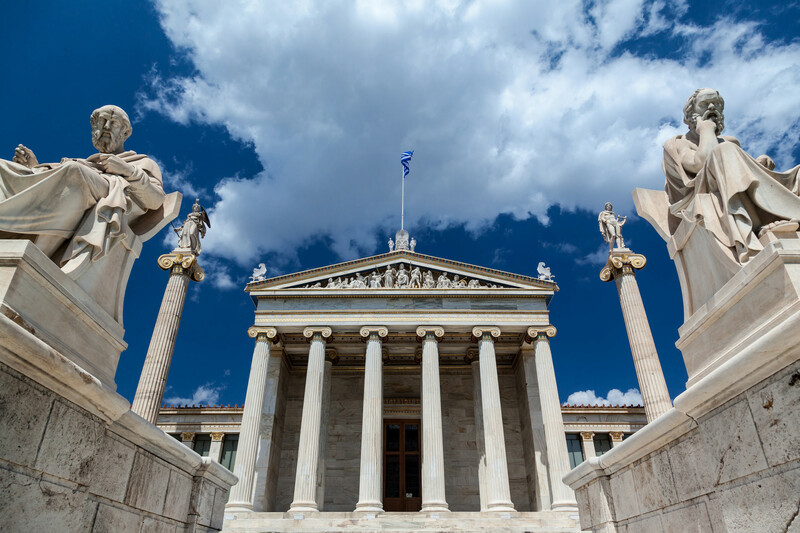 Don’t miss the opportunity to make the most of your stay in Athens by getting to know its everyday life. 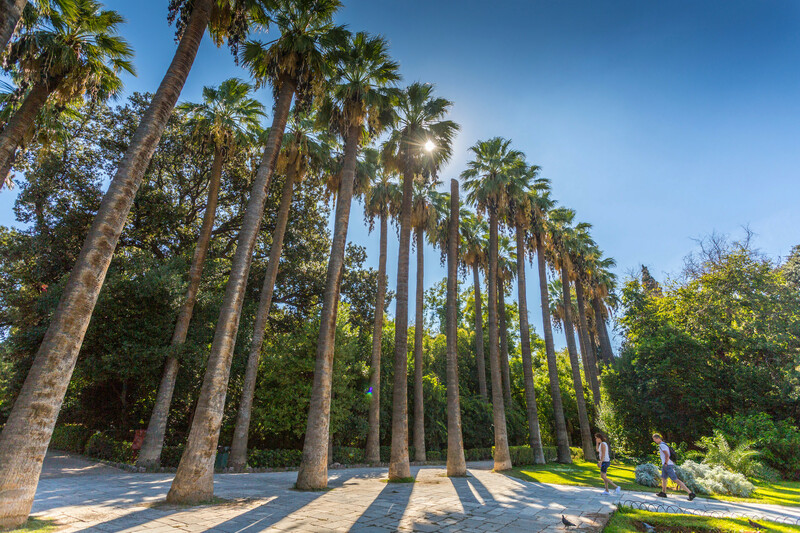 Start your day with a walk to Athens city center, through the picturesque streets of Plaka and Monastiraki. Wander around the flea market of Monastiraki area or go for a shopping spree at Ermou Street, the main street market of Athens. Enjoy your afternoon coffee by the sea at the Athenian Riviera, where you can visit the Floisvos Marina or Glyfada area. After some relaxing, a night out at the Athenian bars in the city center is a perfect end to a perfect day. Visit the Kolonaki area for some posh bars or the Karitsi square if you want to experience the alternative way of nightlife.